Schaeffler Group wants its global automotive sales to grow twice as fast as the market for the foreseeable future, said the head of the company's engine systems unit. 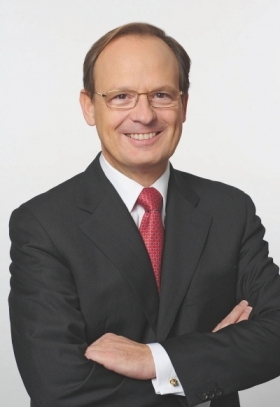 Peter Pleus, who formerly led Schaeffler's automotive division, told Automotive News Europe that he expects the global market to grow by 5 percent, "thus we expect a yearly sales growth of about 10 percent." Schaeffler's automotive business encompasses precision products for engines, transmissions and chassis applications that help reduced energy consumption and lower emissions. About two-thirds of the entire group's sales derive from the automotive industry. "Our order books are bulging, despite all the talk about a looming recession," Schaeffler executive Peter Pleus said. Last year, the group reported sales of about 9.5 billion euros. "For 2011, we expect 10.5 billion or a bit more. Then we will be able to grow by about 1 billion each year in the mid-term," Pleus said. "Our order books are bulging, despite all the talk about a looming recession." Schaeffler sees itself as being well positioned to serve industry trends and to benefit from increased global demand for vehicles. "We expect that even in 2030 about 80 percent to 90 percent of all new cars will have an internal combustion engine – maybe as a hybrid or range extender. And the global market will grow from 75 million to more than 100 million vehicles." The group's 2011 first-half sales rose 18 percent to about 5.4 billion euros. The company's first-half earnings before interest and taxes increased 20 percent to 883 million euros. At the close of the first half, Schaeffler Group employed about 72,000 people. "Currently, we are searching for 1,600 new employees in China and 600 more in Germany," Pleus said. In total, the group wants to hire 8,000 new employees globally this year 2011. The company had 67,500 workers worldwide last year, including 29,000 in Germany. Schaeffler's engineering staff should grow "from 5,500 to 8,000 – to secure our growth and defend our position as innovation leader," Pleus said. Schaeffler also is investing the equivalent of 7 percent of its total sales into r&d, about 2 percentage points above industry average. Schaeffler ranks No. 32 on the Automotive News Europe list of the top 100 global suppliers, with sales to automakers of $5.4 billion in 2010.